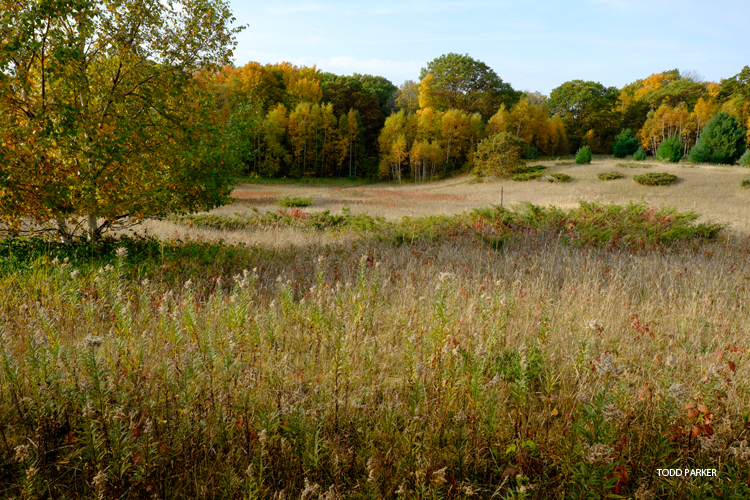 Land Description: A mix of meadowlands and rolling hardwood forest dominated by beech, sugar maple, and red oak. Trails: Park off of Church Road to access old logging trails which offer nearly two miles of hiking. This preserve is located within a half mile of the Goodhart Farms Preserve off of Robinson Road. 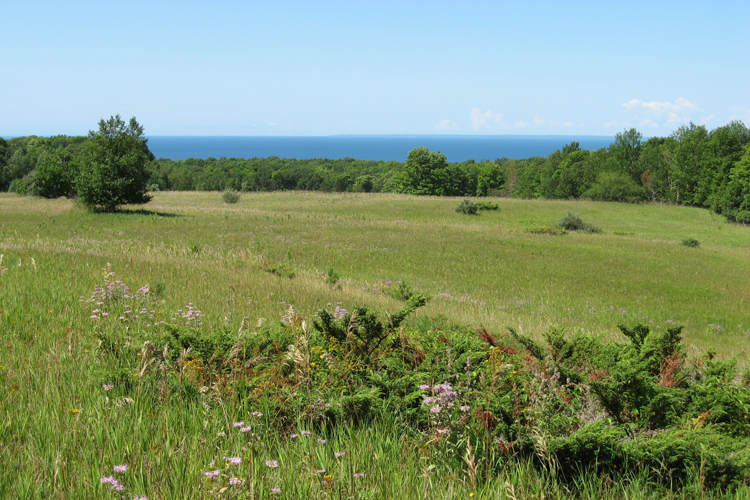 History: Once tilled farmland and more recently used for pasture, the hilltops offer magnificent views of Lake Michigan and Beaver Island. Mrs. Elmer Johnston donated the property in memory of her husband in 1982. Directions: From Harbor Springs, take State Road 9 miles to Robinson Road. Turn left (west) on Robinson and travel 4 miles to Church Road. 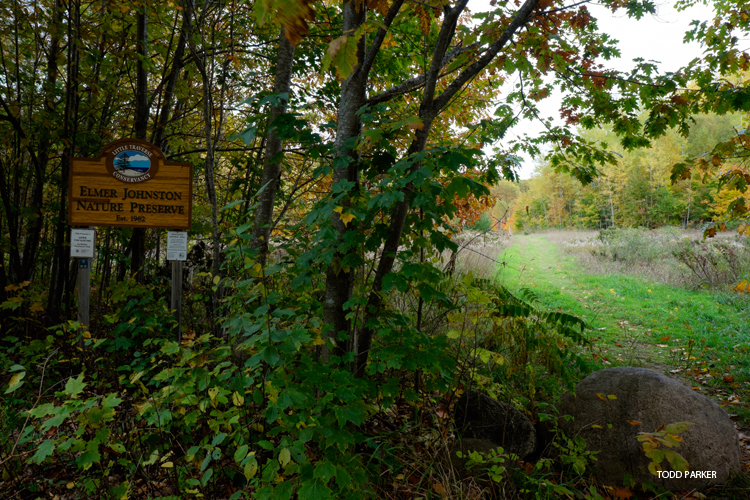 Take a right (north) on Church and travel ½ mile to the Johnston Preserve on the right. 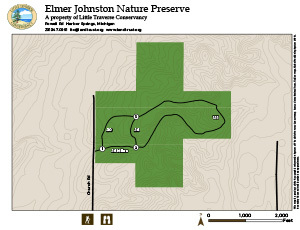 Check out the plants and animals found at this preserve using the iNaturalist guide below. Help us document more with iNaturalist.org and eBird.org!